Click here to buy on Amazon. Click here to buy on Barnes & Noble. "As shrewd, liberal, and enlightened a Prince as Arabia has ever produced." That's how explorer Richard Burton described Seyyid Said Al Busaid, who came to power in Oman in 1806, when he was 15 years old. During his half-century reign, Said ruled with uncanny contradiction: as a believer in a tolerant Islam who gained power through bloodshed; as an open-minded, intellectually curious leader who built a vast commercial empire on the backs of tens of thousands of slaves. His daughter Salme, born in his harem on Zanzibar, scandalized her family and people by eloping with a German businessman, converting to Christianity, and writing the first-known autobiography of an Arab woman. This is a story of violent family feuds, international intrigues, and charismatic characters—from the sultan and his daughter to the wildly wealthy slave trader Tippu Tip and the indefatigable anti-slavery crusader Dr. David Livingstone. The brutal and decadent world they once inhabited is gone now, but its legacy lives on throughout East Africa. The time is 1806. The place is a sultan's castle just outside Barka, Oman, a port on the Arabian peninsula. Inside the castle sit two handsome teenage brothers: the gentle and bookish Salim and the decisive and ambitious Said. Beside them is their adviser Muhammad bin Nasir. Standing sentinel at the door is a tall Nubian slave. Bedr, the boys' first cousin, enters the room and takes a seat between the brothers. Said admires the scabbard hanging by Bedr's side--a magnificent affair set with semiprecious stones. Yet even more magnificent is the point of the dagger within, Bedr says, and he takes it out for his cousins to admire. Silently, Said reaches for the weapon and then, swiveling suddenly, plunges it into his cousin's breast. The Nubian slave shuts the door. Screaming with pain, Bedr staggers to his feet and throws himself out a window, to land upon a dung heap. Stumbling to the castle stable, he mounts a saddled horse--one is always at the ready, as is the Arab custom. He gallops toward the desert, where four hundred of his supporters are quartered. Watching from an upstairs window, Said's aunt Bibi Mouza cries out for Said to go after him, and he does, accompanied by his brother, his adviser, other noblemen, and the Nubian slave. Galloping through a copse of date trees, they come upon the wounded man and knock him off his horse. Pouring blood, Bedr doggedly continues on foot. Said hesitates for a moment, then stabs him dead. Said and Salim are the sons of Seyyid Said bin Sultan Ahmed Al Busaid, who ruled Oman from 1793 to 1804. Bedr was plotting the brothers' own murder and would have succeeded were it not for the boy's perceptive and formidable aunt. Upon discovering Bedr's intentions, Bibi Mouza persuaded Said of the necessity of killing his cousin. Six weeks after Bedr's murder, Said and Salim are declared the joint rulers of Oman. It will be Said alone, however, who will yield the power. He is fifteen years old--and, legend has it, will be haunted by his vicious act for the rest of his life, so much so that he will rarely sentence an enemy to death. 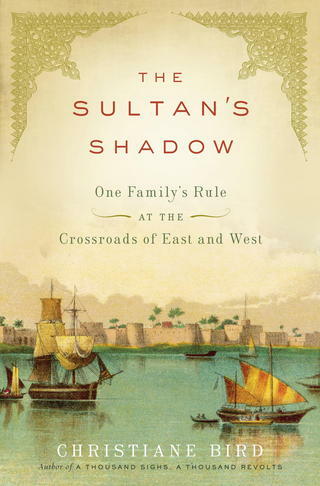 A story of romance, religion, slavery, and geopolitics set in Oman, Germany, and Zanzibar. "I cannot recommend too highly this brilliantly evocative portrait of a people." "The product of a generous heart and a watchful eye."